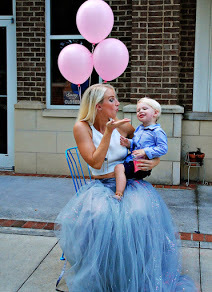 This gift for Mom post is sponsored by Kohls. I only work with brands I love, so thank you for helping me to support them. I’ve posted a lot about gifts for the rest of the family, but what about gifts for us mamas? I had a hard time trying to figure out what I wanted for Christmas. Until I saw the new jewelry collection from Hallmark at Kohls. There are beautiful options for every lady out there. As a mama, they really spoke to me so I decided to share with you the Perfect Gift For Mom. I picked this Triple Heart Necklace. It represents my husband, my son and my daughter. I love that each heart is different, because each of those I love best are different. In the best way possible. I told Jason, if we have another were gonna have to find another heart to put on there. The necklace (and everything from this collection) is made from sterling silver, so you know it’ll last. I will wear this perfect gift for Mom every single day and love that it represents my sweet babes and their daddy. For any young ones, the rainbow necklace or that adorable elephant. What little girl wouldn’t love to wear one? For the non-necklace wearers there are several gorgeous rings and bangle charm bracelets. And look at those prices!! New mamas- the heart with gold baby feet inside is so sweet. I also love the tree of life and the cross necklaces! Which piece are you gifting this holiday season? Super sweet! Who knew that Hallmark has a jewelry line?! And it’s cute too. I am totally getting this for my own mama. I haven’t gotten a gift for my mom, and Christmas is only a few weeks away. 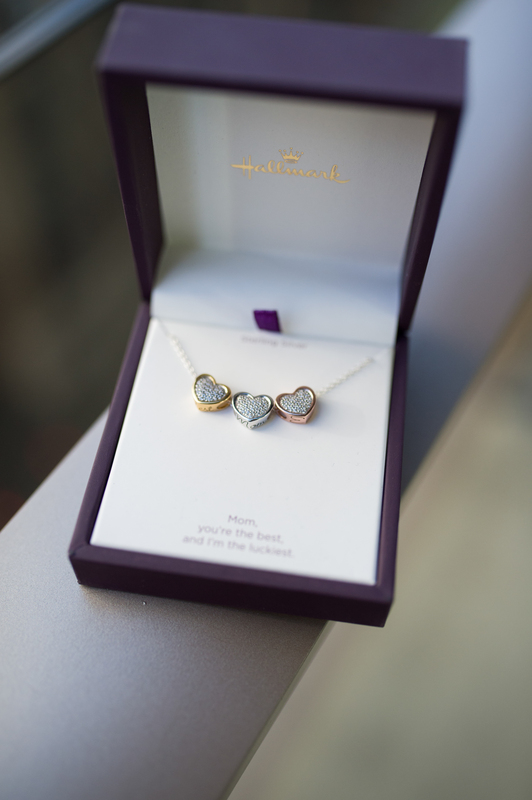 I will love this three hearts necklace. I wonder if there are other designs? I will have to check Hallmark’s website. Thanks for letting me know. I’m actually looking the best gift for mom. It is very stressful, Thanks I was able to read this I found the necklace so beautiful. Mom will surely love this. I just love the photos of you and your daughter. How precious! The heart necklace is lovely, and I am a true heart lover. Whenever I see mom’s jewelry, I always think of my aunt who had 8 children, and a ring with a stone for each of the kids. It was very colorful! The heart with baby feet inside is just adorable as is the three heart necklace you are wearing. My youngest granddaughter would love the elephant necklace. I love that we here appreciate the elephant because the only one in the world that needs an elephant tusk is an elephant! My adult son wants a cross for his chain maybe I will be able to find one at Kohls. I would love to have a new necklace for Christmas. Hint, hint, hubby!! Are you listening?!? Such a beautiful gift for moms! 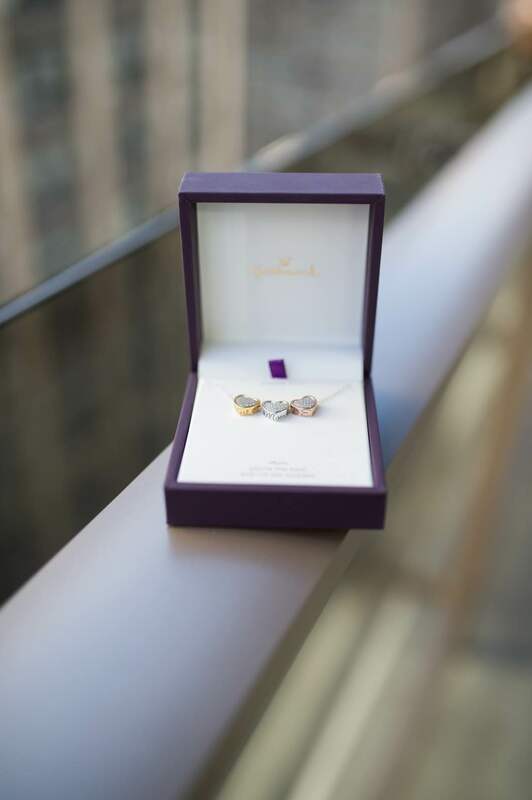 Moms are notoriously hard to shop for too, but this gift is both beautiful and meaningful! It’s ok to make sure Santa knows what to bring us too! Your necklace is so sweet. Having the three different styles of hearts means it will go with everything! Definitely a lovely choice for moms this season! I love the design and I checked out their website for more choices! It’s really worth it! That is a lovely necklace. It looks great on you, too, I’m sure. My mom has 3 girls so the 3 hearts would have a meaning for her too. It is simple yet elegant. Wow, I love the necklace. Such a beautiful gift for moms! his gift is both beautiful and meaningful!